We looked at the top 10 Gas Grills and dug through the reviews from 96 of the most popular review sites including The Spruce Eats, Consumer Reports, BestReviews, Best Reviews Guide, The Grilling Life, Top Ten Reviews and more. The result is a ranking of the best Gas Grills. Our experts reviewed the top 10 Gas Grills and also dug through the reviews from 96 of the most popular review sites including The Spruce Eats, Consumer Reports, BestReviews, Best Reviews Guide, The Grilling Life, Top Ten Reviews and more. The result is a ranking of the best of the best Gas Grills. For the price, it's hard to beat this Weber grill. It includes six handy hooks for storage and a tank gauge that lets you know when it's time to refill the propane. Weber grills have a unique ignition system that ensures a reliable start every time. Although you'll get even cooking and delicious meals, the grill does tend to run slightly hotter on the back of the burner. DWYM Outdoor and Garden Experts plus CNET, The Spruce Eats, New York Times Wirecutter, Best Reviews Guide, BestReviews, Amazing Ribs and 1 more. Along with user reviews from Amazon and Home Depot.
" The $599 Weber Spirit II E-310 grill looks great in red. It has a propane tank scale so you can see roughly how much gas is left at a glance -- and six hooks for easy tool organization." "This one is made in China and uses lower-grade stainless steel for its burners and other components." Although a bit on the pricy side, the Genesis II grill is iGrill3 ready, with a thermometer that connects to an app alerting you when your food is ready. You'll get even cooking and those coveted sear marks on your meat. However, having only two grills can make it less than ideal if you're cooking for large groups. One thing that sets the Genesis II apart from others is its durable welded-beam frame, promising many years of reliable use. DWYM Outdoor and Garden Experts plus Top Ten Reviews, The Spruce Eats, CNET, Consumer Reports, BestReviews, New York Times Wirecutter and 1 more. Along with user reviews from Amazon, Walmart and Home Depot.
" This gas grill heats consistently and evenly for an exceptional grilling experience." "Relatively low heat output for the size." Even cooking and extra burners make this a great choice for those who regularly grill for large groups. Four wheels make it easy to maneuver around, while three color choices let you customize it to fit your space. The high price though may put it out of range for many consumers. DWYM Outdoor and Garden Experts plus The Spruce Eats, Consumer Reports, Top Ten Reviews, Best Reviews Guide, BestReviews, Amazing Ribs and 1 more. Along with user reviews from Amazon and Home Depot.
" The high-quality stainless steel burners produce a high, even temperature; while the porcelain coated cooking grates in the wave pattern give excellent heat contact." "Preheat time is middling, so prepare to wait at least 10 minutes to throw food on the grill." The Smoke Hollow grill is designed for use on a tabletop, making it perfect for camping trips and picnics. Its grilling space fits up to eight burgers, and sturdy stainless-steel construction will help it survive many uses. One thing to note about this grill is that it uses propane cylinders rather than a tank, so make sure you can find them locally before you buy. DWYM Outdoor and Garden Experts plus BestReviews, The Gear Hunt, Just Portable Grills. Along with user reviews from Amazon and Home Depot.
" Folds for carrying. Durable, even on camping trips. Grill fits up to 8 burgers. Responsive customer service and good warranty." "Too small to prepare large meals and no side handles for carrying." We identified the majority of the gas grills available to purchase. 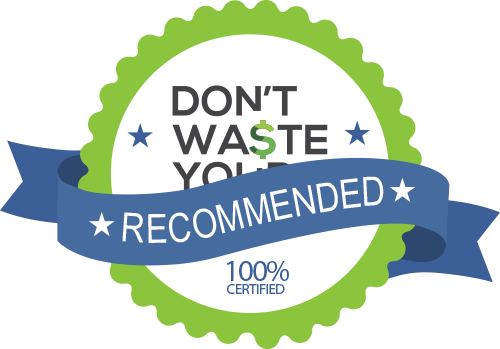 Reviews from our DWYM category experts and analysis of some of the most respected sources including: The Spruce Eats, Consumer Reports, BestReviews, Best Reviews Guide, The Grilling Life. We also incorporate user reviews from the leading retailers including Amazon, Home Depot, Walmart and 3 others. The $599 Weber Spirit II E-310 grill looks great in red. It has a propane tank scale so you can see roughly how much gas is left at a glance -- and six hooks for easy tool organization. It is larger and more versatile than the two-burner versions. It has a basic set of Weber extras like a tank gauge to help prevent you from running out of gas. Offering an unrivaled combination of performance, usability, versatility, durability, and value, this is the best grill for most people. An updated version of the popular Spirit series that offers state-of-the-art components, including the Infinity ignition system that's known for reliable starts. Features a larger grilling space than previous models. The relatively small openings between the grates prevent items like shrimp from falling into the fire. Cooking temp on the Spirit II is pretty even, with the back of the grill running slightly hotter than the front. This one is made in China and uses lower-grade stainless steel for its burners and other components. Awkward to move – some owners with it had 4 wheels instead of 2. Folds for carrying. Durable, even on camping trips. Grill fits up to 8 burgers. Responsive customer service and good warranty. 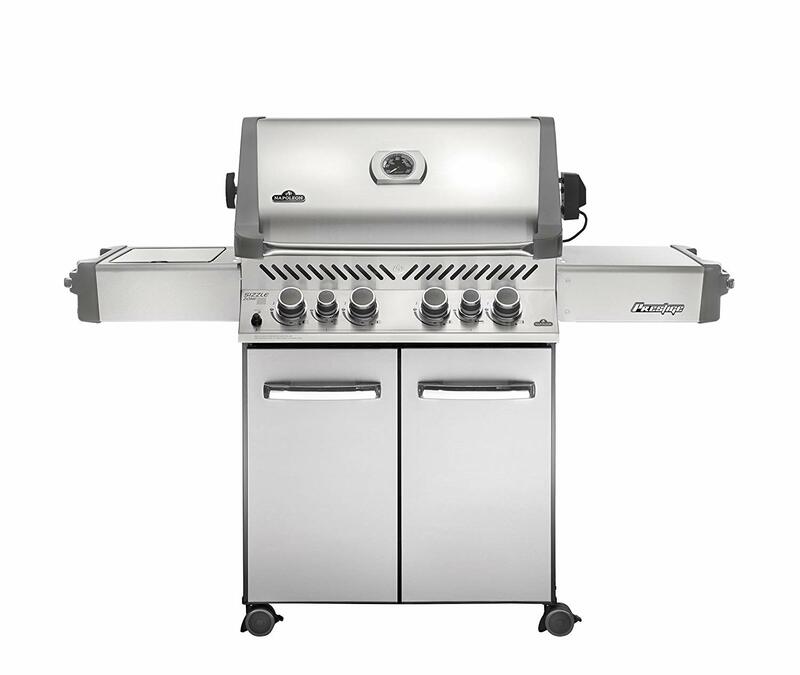 With stainless steel as the main component of this grill, the Smoke Hollow 205 won’t rust out. Features include a double-wall lid, high temperatures of over 500°F, easy-to-clean design, and an affordable price tag. Drip pan doesn't latch and can slide around while carrying. Controlling temperature is tricky, grill heats fast w/lid closed. Piezoelectric igniter tends to fail early and often. Too small to prepare large meals and no side handles for carrying. Versatility is not the Smoke Hollow’s strong point. While it is light and very portable, there is little actual temperature control. There’s no better way to enjoy warm weather than with a great backyard barbecue. Whether you’re cooking for your immediate family or a large group of friends, meat and vegetables taste a little better when cooked over a grill. Gas grills are the quickest and easiest way to cook outdoors since they fire right up in a couple of steps. However, great tasting meals start with the grill you choose. When shopping for grills, it can be easy to get caught up in the construction. While it is important to choose a sturdy, durable grill since it will be exposed to the elements 24 hours a day, you should put far more effort into weighing the cooking ability. Weber’s Genesis II model has burners that put the perfect sear marks on your meat if that’s important. But primarily, you’ll need to look for a grill that offers even heat from front to back. This will let you use every square inch of burner space while cooking rather than confining all your items to the area of the grill that gets hottest. One of the biggest challenges you’ll face is in knowing when your meat is cooked to the perfect temperature. Although many grills come with thermometers, these are built into the hood, which makes them inadequate for accurately measuring the internal temperature of your steaks and burgers. For that reason, you’ll probably need to stand close by with a meat thermometer in hand. However, you don’t have to completely make cooking a guessing game. Newer models from Weber connect to an app that monitors the grill’s temperature and alerts you when your meat is done. You’ll still need to keep an eye on your grill, but this can at least let you wander away for a few minutes here and there without worrying about forgetting about your food. As you’re shopping for a grill, also keep portability in mind. The Smoke Hollow 205 is designed for a tabletop, making it perfect for taking on camping trips. 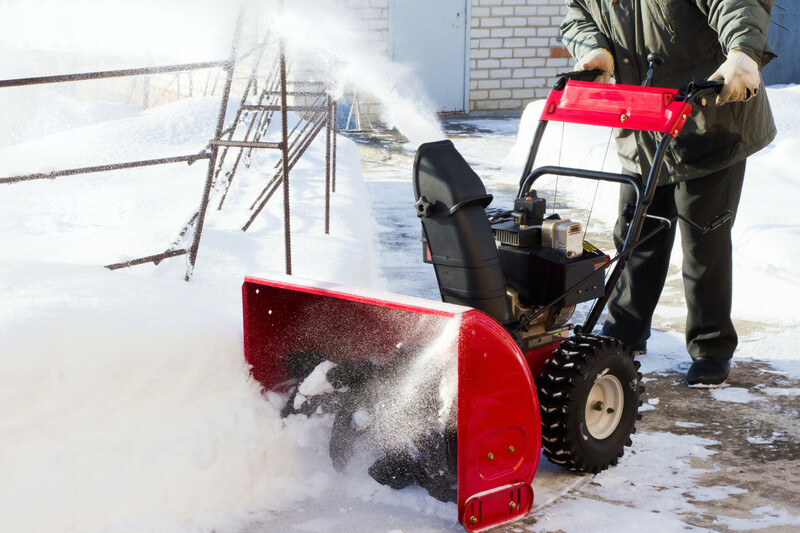 Even having a grill with wheels for moving it around can make a difference if you’re concerned about an approaching hail storm or a winter filled with ice and snow. Fortunately, there are a few grills on the market that will provide all of the extras you want while also helping you cook delicious meals. Simply outline the feature set you want and your budget, and you’ll quickly find the right grill for you. It’s likely no surprise that summertime is the most popular season for grilling, but one holiday beats all others for grilling out: Independence Day. Memorial Day and Labor Day are also popular for outdoor barbecues. But the good news is that thanks to outdoor fire pits and heaters, it’s becoming easier to cook outdoors year-round. You can grill anything from steaks to asparagus. However, hamburgers rank as the most popular, although children rank hot dogs at the top of the list. When cooking for a large group, hot dogs and hamburgers are an inexpensive option, especially if you have everyone bring side items like potato salad and baked beans. There’s nothing more frustrating than marinating your steaks or patting out your burgers, only to get to the grill and learn you’re out of propane. The Weber Spirit II helps you out with a gauge that tells you approximately how much gas is left. One ongoing issue with grills is cooking consistency. You’ll likely find no matter what grill you choose, some areas burn warmer than others. The Weber Spirit II runs hotter on the back than on the front, while the Weber Genesis II impresses with the evenness of its heat. The Napoleon Prestige 500 includes high-quality stainless-steel burners that provide an even temperature throughout. Pay close attention to the location of the thermometer. The vast majority of grills place it on the hood, where it can’t accurately gauge the temperature of the meat cooking inside. You’ll likely still need to use a meat thermometer even with this to make sure the internal temperature of your meat is within a safe range. If you plan to cook for large groups, capacity is a must. The Weber Spirit II has three burners, making it ideal for cooking for five to seven people. The tabletop Smoke Hollow model can fit up to eight burgers. The two-burner grill on the Weber Genesis II can seem cramped at times, especially if you have people over for a summertime party. A side burner can make a big difference if you’re trying to cook multiple items. The Napoleon Prestige 500 includes four main burners, one infrared rear burner and one infrared side burner, giving you extra space if you’re cooking for groups or simply want to separate out what you’re cooking. The Weber Genesis II features an externally-mounted propane tank, which is easier to maneuver than the traditional under grill storage setup you’ll usually get with a propane tank. Best of all, the area under your grill stays free for storing tools, platters and whatever else you need to set aside while you’re cooking. When you’re grilling, it can be tough to keep up with all the tools you’ll need. The Weber Spirit II comes with six hooks to make it easy to store your tools where they’re always handy. The Weber Spirit II and Genesis II have a unique Infinity ignition system that helps you fire up the grill quickly every time. If you cook small items like shrimp, you’ll spend most of your time trying to keep them from falling into the fire. To prevent that, choose a grill like the Weber Spirit II that has tightly-spaced grates. One major benefit to the Weber grills is that they’re iGrill3 ready. They feature a thermometer that connects to an app, notifying you on your device when your items are ready. This functionality currently works on their Spirit II, Genesis II and Genesis II LX grills. The shape of Weber Genesis II’s burners sets it apart from others. Instead of the tube burners traditionally seen with grills, this model has tapered quadrangle-shaped burners. The makeup of the Genesis II’s grates promotes sear marks on meats. Occasionally, you may need to move the grill around, especially if your area gets rough weather and you need to roll your grill to a sheltered area. One disadvantage to the Weber Spirit II is that it only has two wheels, making it a little tougher to maneuver around. Both the Weber Genesis II and Napoleon Prestige 500 have four wheels. If you’re interested in a fully portable model, consider the Smoke Hollow 205, which is designed to be set up on a table. This means you can take it along on camping trips. Unlike other grills, which operate on a propane tank, the Smoke Hollow 205 uses small, disposable propane cylinders. Although this is convenient for transport and storage, it’s important to note that you may have a slightly harder time finding them. They’re sold as a camping accessory. It’s also important to note that they don’t ship with the grill, so you may want to purchase them so you’ll have them on hand when your grill arrives. Although it’s probably going to be easier to find than the Smoke Hollow’s canisters, any grill you buy will need a propane tank. You can find them at home improvement retailers and gas stations. Best of all, once you’ve purchased a tank or canister, you should be able to get them refilled at a variety of locations for a fraction of the price you spent originally. If you’re looking for a grill that’s built to withstand years of outdoor rigors, consider the Weber Genesis II. It has a frame made from welded beams, rather than sheet metal. The Smoke Hollow is also durable, with sturdy stainless-steel construction. If something does go wrong with your grill, it’s important to know that you can get help. Weber offers the longest and most complete warranty in the industry at 10 years. Although appearance isn’t always the top priority in finding a grill, it will become a part of your backyard aesthetics. The Weber Spirit II offers the most options, giving you a choice of black, ivory, red or sapphire. The Napoleon Prestige 500 is available in black, blue or stainless steel. Once the grilling is done, you’ll have to clean things up. The Weber Genesis II is easy to clean. In addition to its unique tapered grill bars, it also has a grease management system under the firebox. To make cleanup even easier, you can insert a disposable aluminum pan in the slide-out tray and simply toss the tray when you’re finished. The price tag is perhaps the most surprising thing. The Weber Spirit II packs a lot of punch for a grill that often retails for less than $500. You’ll pay much more for the Genesis II, which exceeds $1,000. The least expensive of all is the tabletop-geared Smoke Hollow, which retails in the $100 range. If you don’t already have a grill, don’t forget the tools you’ll need to get started. You can buy stainless-steel grilling sets that usually include a storage case. At the very least, you’ll need a spatula and tongs. But you may also want to invest in a grill-specific cleaning brush, basting brush and corn holders. If your grill is going to be exposed to the elements, you may also want to invest in a heavy-duty, weatherproof cover to help it last longer. For the Gas Grill category, we analyzed 96 of the most popular reviews including reviews from The Spruce Eats, Consumer Reports, BestReviews, Best Reviews Guide, The Grilling Life, Top Ten Reviews and more. The result is a ranking of the best Gas Grills.